This book is the eleventh sequel in the series named ‘Politieserie’ and written by Ben de Raaf. 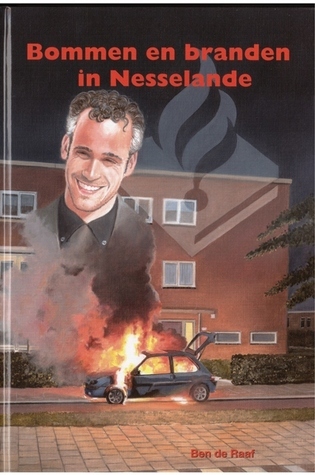 A new neighbourhood, known as Nesselande or the new Vinex neighbourhood is afflicted by a pyromaniac. What happens with little fires in containers soon becomes worse. Vehicle fires and even buildings. This is one of the better sequels written by Ben de Raaf. More action, quicker pace and the clue is not that predictable. I was even surprised by the end and how a character is evolved along the story. At the end of the book I had just found one single spelling mistake. The rest of the sequel is excellently written. The pace of the story keeps more or less steady throughout the book. The detective Roel Westland lives together with his wife Ingrid and their son Sander and daughter Anneloes in Cappelle aan den IJssel. Roel is the chief of a selected police team and there are a few new members, compared to the previous sequels. His previous chef Dirk van Buuren is now his companion within the team. Cornellie, Joop and Sylvia are the other team members. The police chief of ‘Rotterdam District Oost’ (East) is officer Heezemans. All these named characters except Roel, his family, and Van Buuren were new to me. There are also some other characters who play small but important parts. They appear more often as well in the other sequels.